#Do1Thing: What can do we do from home? I’m living in Goma, the capital city of the province of North Kivu in the Democratic Republic of Congo (DRC). The context of this region is quite complex; it has been influenced by many tragic events such as the Rwandan genocide and the First (1996-1997) and Second (1998-2003) Congo Wars. These conflicts have left deep political, social, and ethnic wounds from which the region has not yet recovered. Apart from all these conflicts, there is no doubt that what currently characterises North Kivu is coltan. Surely most of you have heard about this rare and valuable mineral: it is a combination of two minerals with electrical properties that are currently used to make most technological devices (smartphones, tablets, televisions etc). North Kivu is fortunate enough (although perhaps we should say unfortunate enough) to house, according to some studies, 80% of the world’s reserves of coltan. It is one of the places with the greatest geostrategic value in all of Africa due to these coltan reserves. Nowadays, ore extraction has become one of the main reasons for displacement and violence in the region. Many armed groups (more than 70 in both North Kivu and South Kivu) use coltan mines as a source of income to gain power, buy weapons, and carrying out their own political agendas. People living in these regions are driven from their land: sometimes because they are forcibly expelled from them, sometimes because of the violence perpetrated by armed groups, and sometimes because of the environmental damage caused by ore extraction. Consequentially, there are now more than 1.7 million internally displaced people in North Kivu alone. So now the big question: What can we do at home? The first thing I would say to those reading this, and those who have been already infected by the humanitarian aid bug, is to find a way to come to the field and help; of course, this is the most direct way to contribute a little bit and to make a difference. But what about the other 99% of people? Well, here we all have a role. 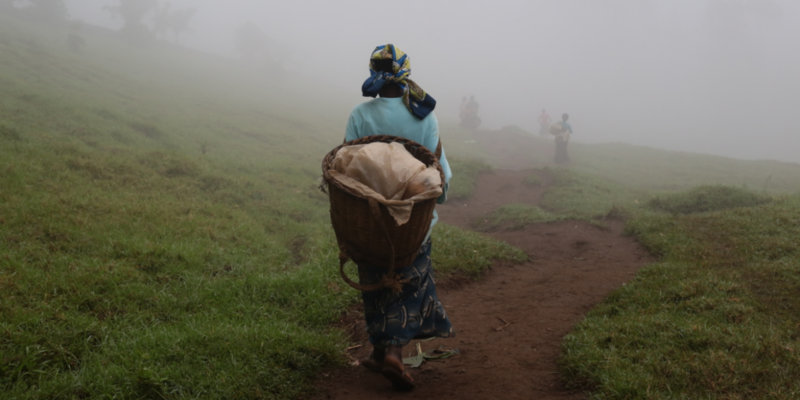 We all carry a bit of North Kivu in our own pockets, and every time we buy the latest model of the iPhone we are often buying death, life in slavery-like conditions, and contributing to other collateral damages. What can we do? Plain and simple, we must change our nonsensical model of consumption. Just think for a few minutes about whether we really do need to buy a new cell phone, when the old one is still working quite well. Or we can come together to ask companies for products that come from conflict-free areas. Step by step, this can change reality. I realise it may sound very idealistic, but we have the power to change the world and make it a fairer place to live.